The past three months have flown by. I looked back to Henry’s six month update and it just seems like he has grown exponentially in the last three months. He went from just rolling in March to army crawling, sitting, full on crawling and pulling up- all in that time frame! Not to mention his little personality is coming through more and more everyday. He is a momma’s boy (which I absolutely love) and he could watch his big brother all day long. They have become the sweetest friends and I love to see how they interact as Henry gets bigger. 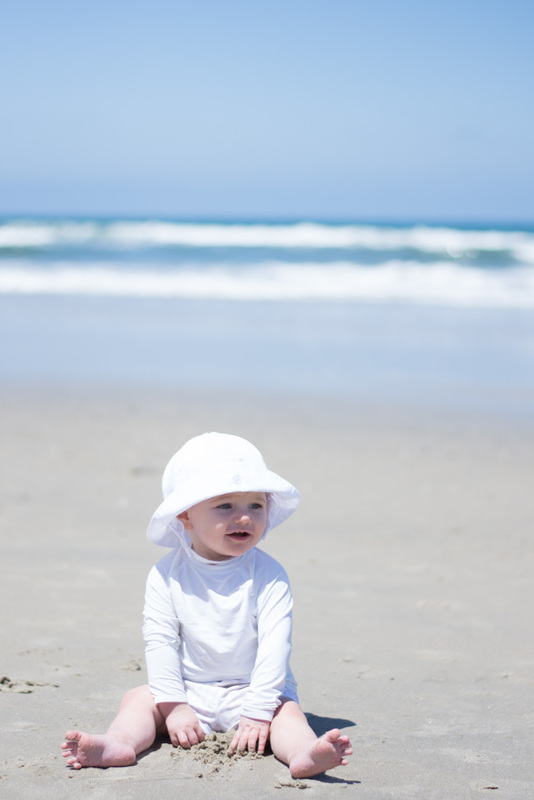 He is crazy about anything with water; the bath, pool and after our last trip – the beach. The only time he cries is when I take him out of the water. Henry, you continue to be the most easy-going baby. I cherish that one middle of the night nursing session because I know that in a blink of an eye you’ll be sleeping all night. I love how you and your brother are already friends (I can’t imagine the mischief you two will get into!) and I can’t wait to see how you change and grow as your first birthday is right around the corner! (Insert all the tears.) Henry Boo Bear, we love you!! 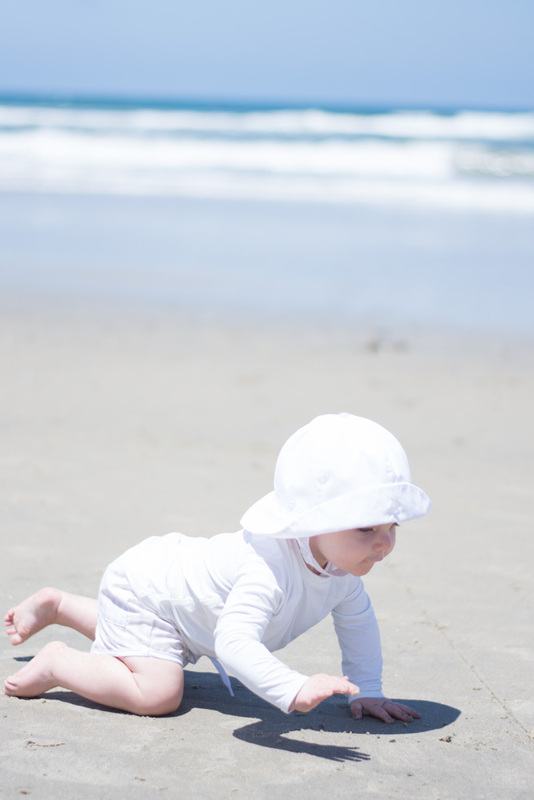 PS: These pictures were taken last week in Del Mar – I couldn’t keep the sand out of Henry’s mouth and he went on his “first” boogie board ride – a beach baby for sure! I am happy to say that Henry is still sleeping great. After that first sleep regression, he has made so much progress and has been a great sleeper and champion napper. We transitioned Henry from the Merlin’s to a sleep suit and it went so smoothly – thank goodness! He sleeps about 12 hours a night – and usually wakes up for a feeding around 5:30/6. Some nights he nurses to sleep and others he likes to talk to himself before falling asleep in his crib! In the last month, Henry’s personality has really blossomed. He continues to be the sweetest baby. He hardly cries, he loves to be held by me all day long (my arms are definitely getting a work out) and now that he is crawling and pulling up, I can’t take my eyes off of him! When he wants to be put down, he is all over the place. He had been army crawling for awhile, but one day he started crawling on all fours. No joke, the next day he started to pull up on anything/everything. He is so busy and doesn’t stop unless he’s eating or sleeping. He is so vocal – still is saying Dada and baba, with the high pitched squeals thrown in there. He makes the cutest noises to get your attention and he doesn’t take his eyes off of his big brother. Henry is so smiley and I just love walking in to wake him up – he always greets me with the biggest smiles. He wants nothing to do with his toys and only wants to play with what William has or anything/everything he shouldn’t be playing with. He fights sleeps when we are out of the house and I can always count on him falling asleep in the car on the way home! Henry’s favorite place is in the water. He cries when I get him out of the bath and the pool. When he’s in the water, he doesn’t stop splashing and doesn’t mind that he’s soaking wet! Henry wakes up around 8 am. I’ll nurse him right when he wakes up and then we’ll head downstairs for to make breakfast for William. Once he’s been up for about 2/2.5 hours, it’s time for a nap. Usually, this is his longest nap – I’ll nurse him to sleep and he usually sleeps for 2- 3 hours. I’ll nurse him when he wakes up and then I try to keep him up for 2-3 hours. Most days he gets a 45/1 hr cat nap around 4 and we try to get him ready for bed by 7:30 and in bed by 8! He does really well on the “no schedule schedule” and is very flexible. Not much has changed since Henry’s six month update – he’s still nursing about 6-8 times a day! We have tried solids – we did some purees around six months and then he kind of lost interest. I’ve started to give him bites of table foods now, but he honestly could care less! He usually just plays with it and occasionally he’ll get a bite in his mouth! He seems to just want to strictly nurse at the moment. 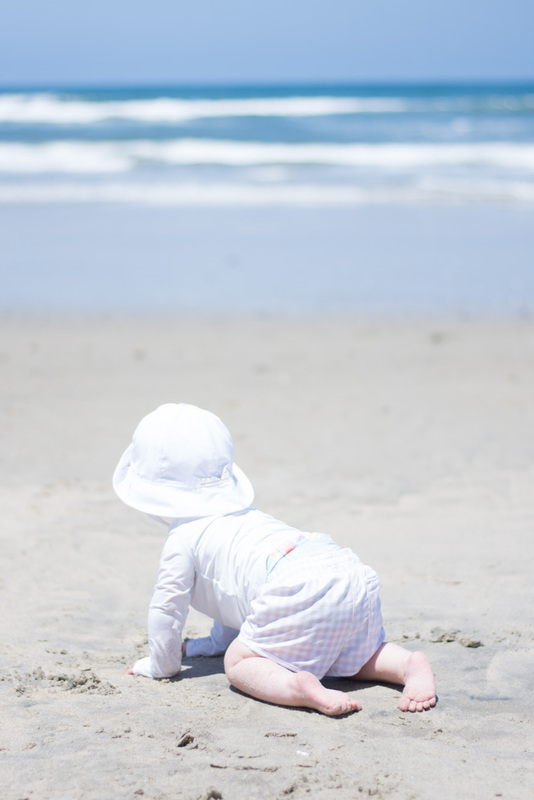 Since he turned six months old, we’ve been to Scottsdale for a wedding and to California for a graduation and a beach getaway. He’s a great little traveler – but he fights sleep like crazy because he’s afraid to miss anything! We’ve got a trip to London/Portugal in a few weeks and I am a little nervous about the jet-lag. 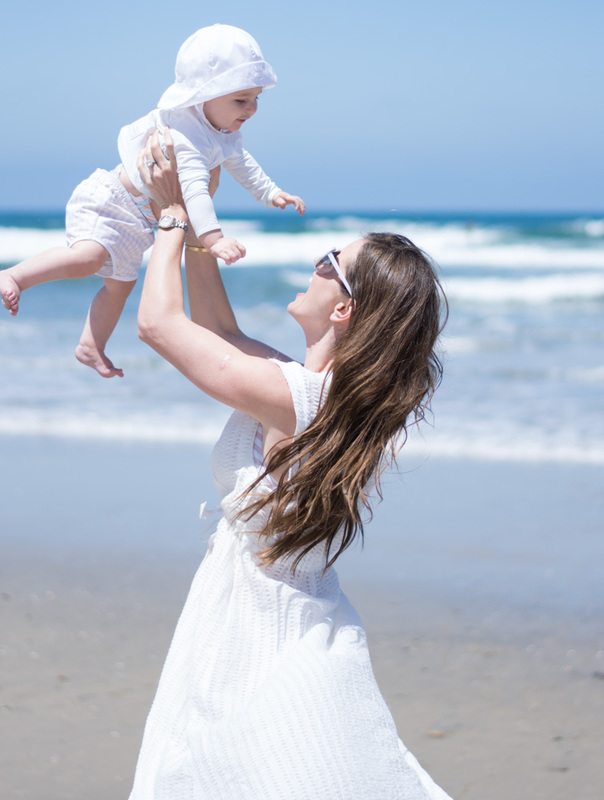 Moms with older babies – what should I expect? He waved for the first time – he started to wave at the lady behind us on the airplane and now he waves to everyone. It’s so cute! The softest sleep sack ever – plus, love all the prints! This teether is great for little hands to hold. He’s become quite attached to his “baba” and this one is so soft. These spoons are great for solids – and teething.